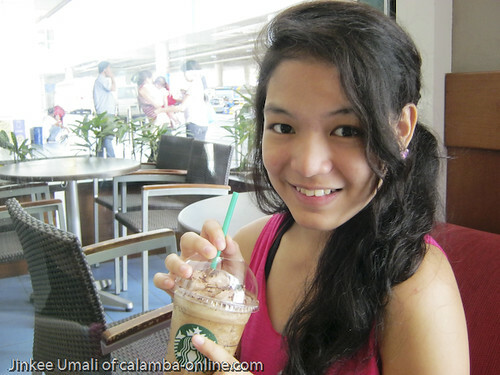 Yes, we availed the half-price frappuccino here in Starbucks, Calamba. If the price is P 135.00, you can get 50%. 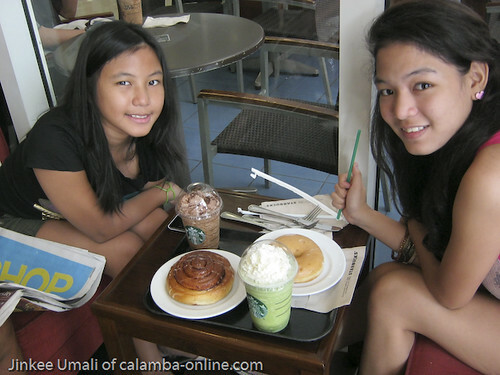 Since it was summer vacation for kiddos, we tried to go to the coffee store to indulge with our favorite drinks. This was shared to us by my son who were having his OJT at the metro. 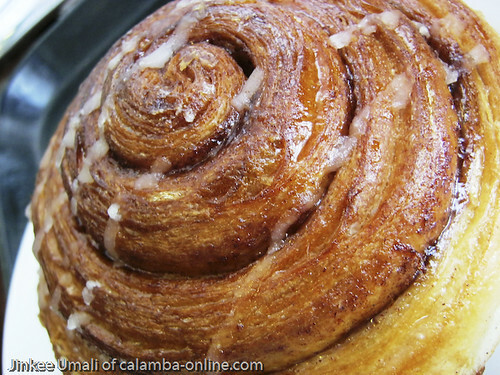 We thought this was exclusive only in the metro. Yah, the promo was extended to provinces like Calamba, Laguna. 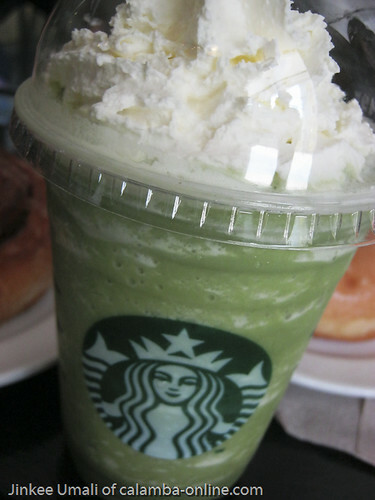 My daughter let me taste the Green Tea Frappuccino. I was in the program of Metafit Challenge and I thought trying this drink can be a healthy choice. 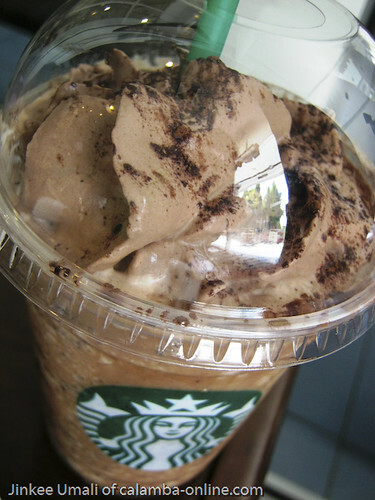 My daughter always settled for a mocha frappuccino eversince. For a change, she tried the chocolate flavor. 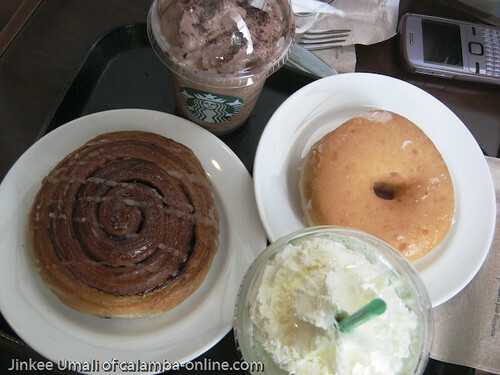 We ordered for cinnamon roll and donuts to partner with the frappe. Huge desserts for us. Price range between P 50.00 to P 70.00 each. Many really availed the said promo where people were keep on coming to taste and save at the same time. 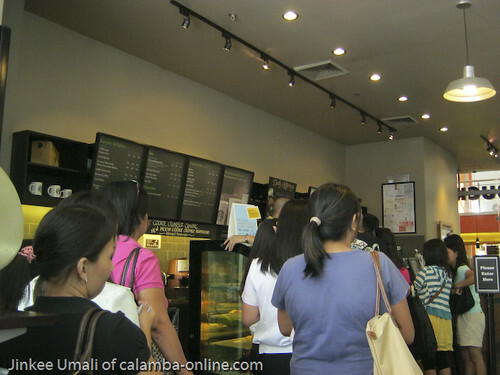 Here was the long line then when we visited the coffee shop. What are you waiting for? 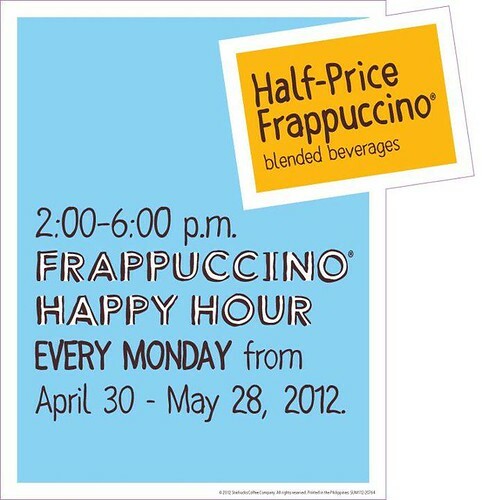 Visit Starbucks SM Calamba every Monday from April 30 to May 28, 2012. It is one way to enjoy the summer with your favorite drink in half a price.